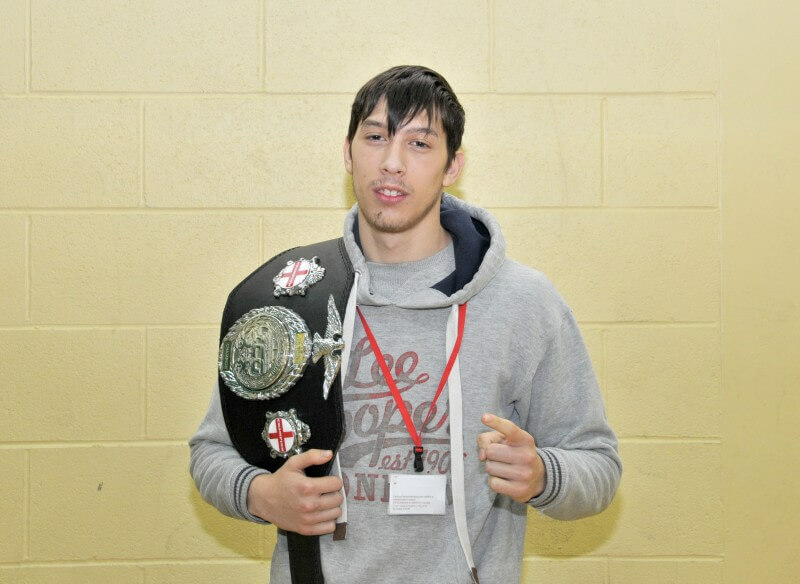 Barnsley College student Mareks Pelcis has successfully defended his English kickboxing title in front of a partisan hometown crowd. The 17-year-old, of Longdale Road, Barnsley, beat Josh Scott at Barnsley Metrodome to retain the International Combat Organisation (ICO) English Light Welterweight Championship for the 16-18 age range, which he initially won in November 2015. A former Horizon Community College student, Mareks started kickboxing at the age of six and trains at the Combat Academy in Wombwell. Mareks is studying Level 1 Sport and Active Leisure at Barnsley College and has accessed an Elite Sports Performer Bursary through the college’s Sports Academy. Barnsley College’s Sports Academy is open to talented Sports performers studying any course at the college. Call 01226 216 123 or email info@barnsley.ac.uk for more information or come along to the next Open Evening on Wednesday 20 January, 6.00pm-8.00pm.